Charging the Earth - Solar! : ETFE offer from Holscot! 24 May 2012: I wrote a while back about the virtues of ETFE, immensely strong and durable transparent plastic sheet. I was lucky enough to meet Holscot, the leader in the East Midlands of fabricating ETFE into frames and other structures - based in Lincolnshire. Holscot had demonstration aluminium frames with stretched and inflated sheets of ETFE. The product is strong enough to resist wind loads and thrown stones, and has durability so long that its ultimate life is not known - all ETFE in use since it was first introduced 30 years ago for 'glass'-houses is still in excellent condition. I immediately recognised that this would be the ultimate material for a sunbox. Although more expensive than polycarbonate and glass, it is cheaper than the cost of forming a glazed box with glass, but has much higher transmission. It can be double glazed, to provide insulation. More normally, it is inflated gently (like a cushion), but if thermally stretched over a frame, it will shrink tight and remain taut enough to resist domestic scale wind loads. Holscot have a Patent on the process of doing it without needing inflation. This would provide the ultimate level of transparency to solar energy that I could possibly have for the Sunbox. Holscot have written to say that they are willing to provide sponsorship for the Peveril Solar project (in the form of ETFE! 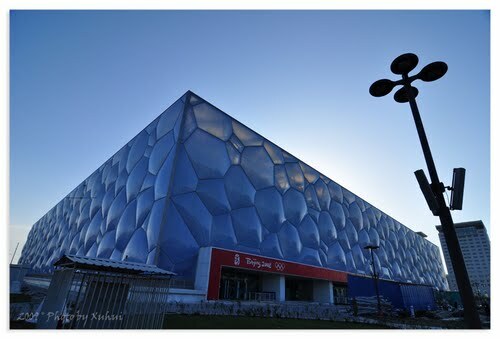 ), recognising that this unique application of ETFE can be another proof of the benefit of using it. As I shall have to have scaffolding anyway for the proposed house extension, it's going to be all part of the summer operation to make this change. It was clear that the by using ETFE the front hinging up panel would be a clean and one-piece solution.